Printed textbooks, printed core materials, and other educational materials that are converted to alternate formats (Braille, large print, electronic text, and audio recordings). These materials are written and published primarily for use in elementary and secondary school instruction and are required and requested by a local school division for use by students with disabilities in the classroom. 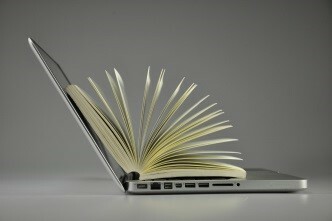 Accessible Text means the text within a specialized format is readable by a computer. Formats with accessible text can built accessible or converted through a process called optical character recognition. Features like text-to-speech, modifiable font and typeface, and some annotations features require accessible text. A brief description of a single image designed to be read by a screen reader as an alternative to that image. Alt tags are approximately 4–10 words long and state the type of image and a brief summary of it; when possible the alt tag expresses the purpose of the image as well. Alt tag text does not interpret an image (i.e., smiling, not happy). Annotations allows the reader to insert notes on the text. This allows the user to make connections to the real world, ask questions, make predictions, voice disapproval or even dissect, analyze, ponder, and theorize regarding the text. Annotations may include highlighting, adding text or audio notes. Any item, piece of equipment, or product system, whether acquired commercially off the shelf, modified, or customized, that is used to increase, maintain, or improve the functional capabilities of a child with a disability. A nonprofit organization or a governmental agency that has a primary mission to provide specialized services relating to training, education, or adaptive reading or information access needs of blind or other persons with disabilities. Braille is a system of reading and writing by touch used by the blind. It consists of arrangements of dots which make up letters of the alphabet, numbers, and punctuation marks. The basic Braille symbol, called the Braille cell, consists of six dots arranged in the formation of a rectangle, three dots high and two across. Other symbols consist of only some of these six dots. Devices, such as a refreshable braille display that work with software to allow people to read information on computers and from the internet using braille. A BRF file type, also known as Braille-ready format, uses Grade II Braille and can be used with common Braille devices or Braille printers. Competent authorities’ confirm a student’s print disability within one of the categories; Low Vision/Blindness, Physical Disabilities, or Other Disabilities. School personnel such as special education teachers, speech pathologists, occupational therapists, and/or school psychologists may be appointed. The Chafee amendment to chapter 1 of title 17, United States Code, adds section 121, establishing a limitation on the exclusive rights in copyrighted works. The amendment allows authorized entities to reproduce or distribute copies or phono-records of previously published nondramatic literary works in specialized formats exclusively for use by blind or other persons with disabilities. Digital Accessible Information System, or DAISY is a means of creating digital talking books for people who wish to hear—and navigate—written material presented in an audible format; many such listeners have print disabilities including low vision, blindness, physical disabilities or other disabilities. A digital rights manager is an educator on the AIM-VA ordering portal. 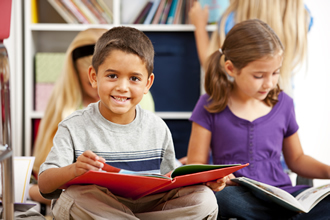 They protect the rights of the publisher by ensuring that the materials they order through AIM-VA are used solely by eligible students with disabilities. Certifying Digital Rights Manager: Can additionally certify students as eligible. Lead Digital Rights Manager: Can additionally create, modify, or delete educator accounts within a specific set of schools. Division Administrator: Can additionally create, modify, or delete educator accounts within a division. A book, article, or other published material that can be retrieved by and read via a computer. ePub (electronic publication) files are simplified versions of the Daisy format and are usable on most all electronic devices. AIM-VA converts ePubs from Daisy, NIMAS, and Microsoft Word files. An annotation feature that allows the user to mark or emphasize a selected text. The Individuals with Disabilities Education Act (IDEA) is a federal law ensuring services to children with disabilities throughout the nation. IDEA governs how states and public agencies provide early intervention, special education and related services to more than 6.5 million eligible infants, toddlers, children and youth with disabilities. A written statement for a child with a disability that is developed, reviewed, and revised in a team meeting in accordance with this chapter. 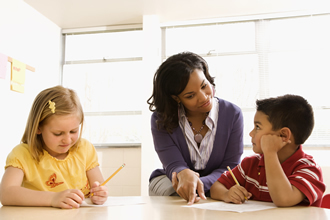 The IEP specifies the individual educational needs of the child and what special education and related services are necessary to meet the child's educational needs. Images, in the context of accessible materials, is a format characteristic that defines if and how images are displayed. Large Print is created by AIM-VA through by enlarging the original pages of requested text. All large prints are provided in black & while copies only. AIM-VA maintains its current large print library and existing large prints are available on a first-come, first-served basis. However, AIM-VA does continue to print large prints of student workbooks and curriculum-based worksheets. In addition, AIM-VA has an extensive library of large print hard-copy reading books. These texts are all printed with font size 14 point or above. These books can be ordered for yearlong use or for shorter, time-frames that correspond to reading objectives (i.e., classroom reading session or summer school reading timelines). The large print hard-copy reading books are available on a first-come, first-serve basis. An AIM-VA Print Disability category. It includes a student with an impairment in vision that, even with correction, adversely affects educational performance. The term includes both partial sight and blindness. A central repository for NIMAS files. Only authorized users have direct access to the NIMAC to download NIMAS file sets. AIM-VA is considered to be Virginia’s authorized user. A technical standard used by publishers to produce source files to develop multiple specialized formats for students with print disabilities. Because of an exemption to copyright law, publishers are allowed to deliver the electronic content of textbooks and related core materials (NIMAS files) to the NIMAC. Navigation, in the context of accessible materials, is a format characteristic that defines how a user can move through a specialize format. A singular format can contain multiple means of navigation. A process that identifies printed characters and converts them to computer legible text. Text successfully scanned by OCR becomes accessible text. An AIM-VA Print Disability category that includes students whose disability significantly interferes with reading, not caused by visual or physical disabilities, that is confirmed by a competent authority. Examples include dyslexia, ADHD, intellectual disability, etc. Page Layout is an AIM-VA format characteristic that defines a format’s visual representation as “like original” or “varied”. “Like original” formats will look just like the printed educational material, while “varied” formats can have a number of alterations to the materials original appearance. Many digital “varied” formats will provide features to customize the look and feel of the material. An AIM-VA Print Disability category, physical disabilities are conditions that substantially limit an individual’s basic physical activities, such as walking, climbing stairs, reaching, lifting, or carrying. In relation to accessible materials, the term refers to students who, as a result of physical limitations, are unable to use standard printed materials. A person has a print disability if they cannot effectively read print because of a visual, physical, perceptual, developmental, cognitive, or learning disability. Printed textbooks and related printed core materials that are written and published primarily for use in elementary school and secondary school instruction and are required by a State educational agency or local educational agency for use by students in the classroom. This includes technology-based or electronic educational materials. Reflowable Content is designed in such a way that the text clearly fits on the screen regardless of if the user alters the font or screen size. A screen reader is a tool that helps to display visual information auditorily. Beyond reading just text, a screen reader will read navigation components like menus, titles, links, and page elements. 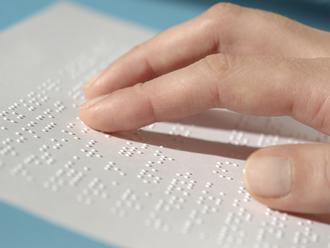 Braille, audio, or digital text which is exclusively for use by blind or other persons with disabilities; with respect to print instructional materials, includes large print. Text format is an AIM-VA format characteristic that defines the typeface of the text within a specialized format. Some specialized formats retain their original text format while others are converted directly to braille or a san serif typeface to make characters easier to distinguish for those with print-based disabilities. Many digital formats will provide features allowing users to alter the typeface as needed. Text-to-speech or speech synthesis is the artificial production of human speech and is generally accomplished with special software and/or hardware. Some voices sound almost human while others sound more primitive and robotic. 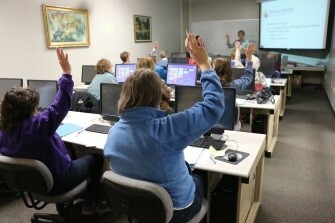 If used with reference to the requirement for National Instructional Materials Accessibility Standard means that the local educational agency shall take all reasonable steps to provide instructional materials in accessible formats to students with disabilities who need those instructional materials at the same time as other students receive instructional materials. The term "universal design" means a concept or philosophy for designing and delivering products and services that are usable by people with the widest possible range of functional capabilities, which include products and services that are directly usable (without requiring assistive technologies) and products and services that are made usable with assistive technologies. Universal Design for Learning provides flexibility in the ways information is presented, in the ways students respond or demonstrate knowledge and skills, and in the ways students are engaged as well as reduces barriers in instruction, provides appropriate accommodations, supports, and challenges, and maintains high achievement expectations for all students, including students with disabilities and students who are limited English proficient. Voice preference refers to the user’s ability to change or otherwise customize the sound of the voice while using text-to-speech. While each text-to-speech program will have built in options, there are many options to support students of different languages, dialects, and preferences that may be downloaded. The rate at which the words are spoke while using auditory text. Both text-to-speech and human narrated text often allow the users to change the voice speed, however, text-to-speech is considered to be more understandable while using higher speech rates. Web Access allows the use of accessibility features while on the internet. Results may vary depending on the format of the content on the web.